Na Rosa is already a classic in Menorca, with over 30 years of service to clients and friends. 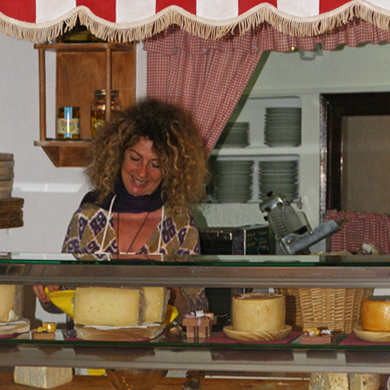 Specializing in Spanish cheeses, own elaboration pates, accompanied by salads, iberian sausages, smoked, carpaccio, soups, cold meats and the delicious cakes and desserts. See our extensive list of wines and spirits. For Na Rosa team is as important as product quality customer treatment. Na Rosa, an option to share with friends in a warm and welcoming. We have spacious outdoor terrace and Art Exhibition.